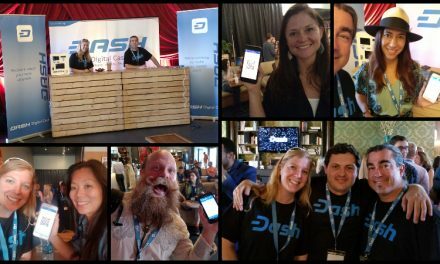 Dash Force News caught up with @pablomp, the creator of the equations and website, about this newest development. He started off by describing the difference between regular Market Cap data and Fair Market Cap data. As a reminder, fair value is the “intrinsic or theoretical value of the coin according to its current usage” and modeled after how stocks derive fair value “from the discounted expected free cash flows” of that company. 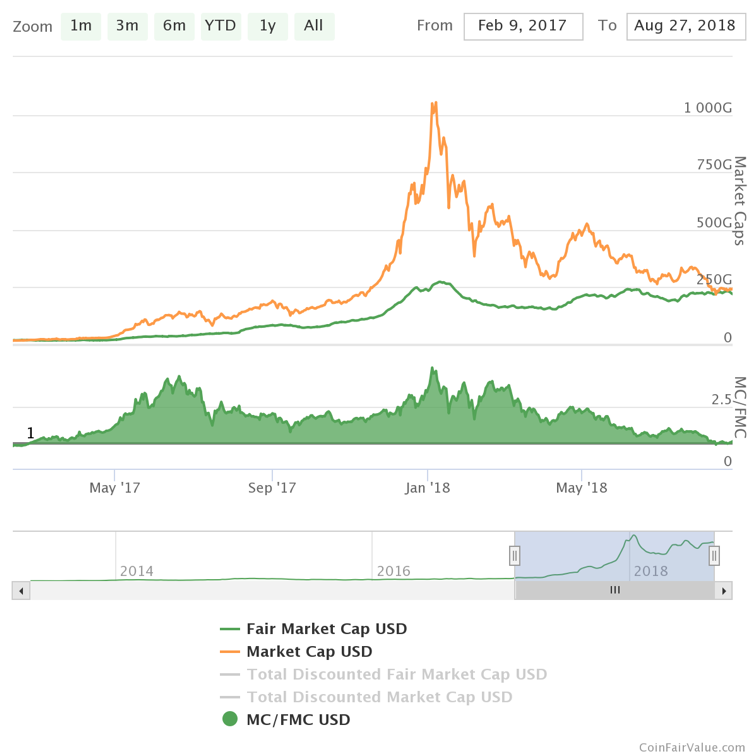 @pablomp explained that the chart shows a convergence of Fair Market Cap and Market Cap data, which can also be stated as the MC/FMC ratio approaches 1.0. @pablomp told Dash Force News that he was not exactly sure what the final chart would reveal when aggregating the data, but his “gut feeling was that the speculative bubble had finally popped”. 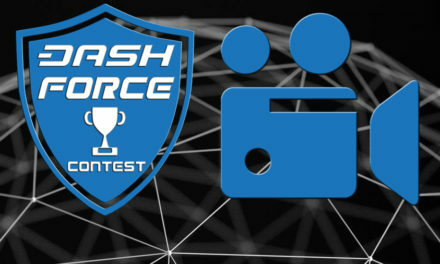 In addition to the chart, CoinFairValue also told Dash Force News that they recently just launched Dash and Bitcoin Cash as a reference currency for their rankings, further expanding the market analysis capabilities in terms of Dash. Since the chart depicted similar patterns for the 2014 era and the 2017/2018 price spike and decline, Dash Force News asked @pablomp how he believes the current market data compares to the market data from 2014. 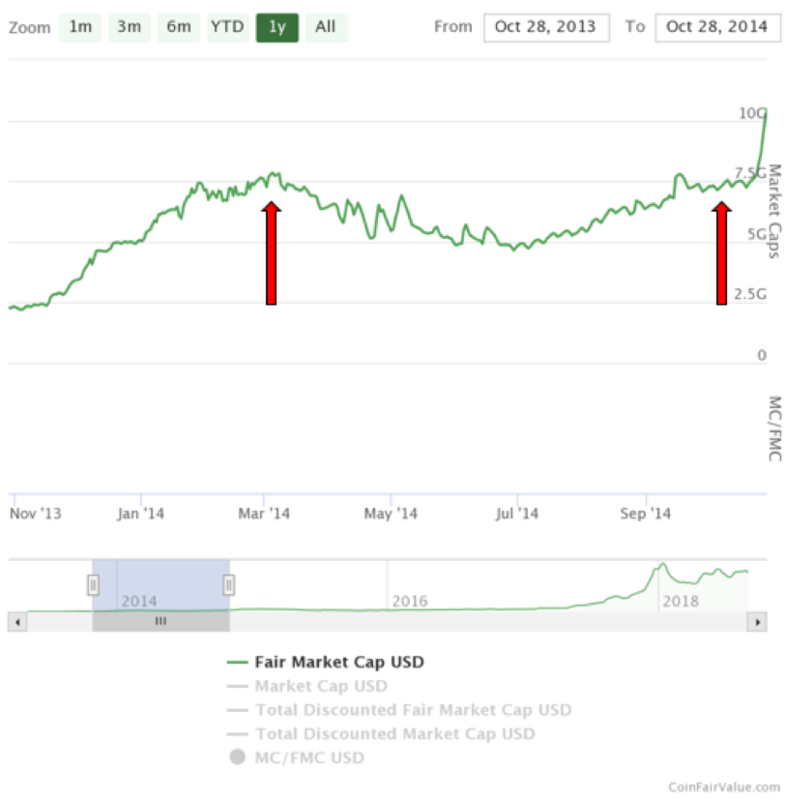 The charts depict Fair Market Cap rebounding faster in 2014 than in 2018, but still referencing the first chart above, the regular Market Cap Value has nearly reached parity with the Fair Market Cap Value in 2018 as it did in 2014. This indicates a significant reduction of speculation in the cryptocurrency market. To get a closer look, @pablomp also looked at the log value to “compounded growth scales to linear”. These chart analyses show that overall prices of cryptocurrencies became overvalued, but have since become much more realistic and sustainable. 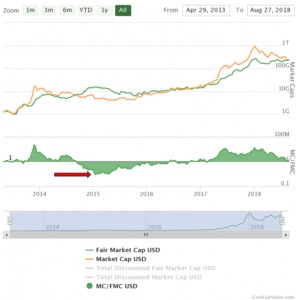 So far, this is mimicking the 2014 era, where overvalued cryptocurrencies soon reached parity with their fair value. The difference that has yet to be seen in 2018 is if overall prices will become undervalued like they did in 2014. As cryptocurrencies continue to grow, adoption and real world usage increases. Then, cryptocurrencies stand to become more stable as a usable currency. However, the risk remains that over-speculation could create a severe bubble that will scare aware users and investors leading to a mass exodus from cryptocurrencies, and thus, an overall undervaluation. 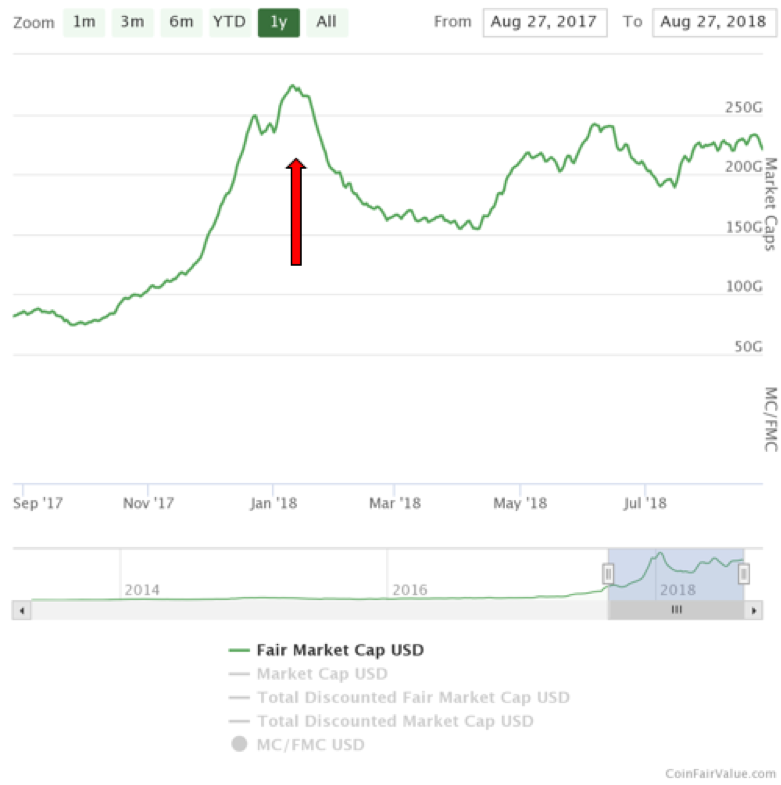 The total Fair Market Cap compared to the regular Market Cap helps depict the importance of not over-speculating as it can come crashing down. 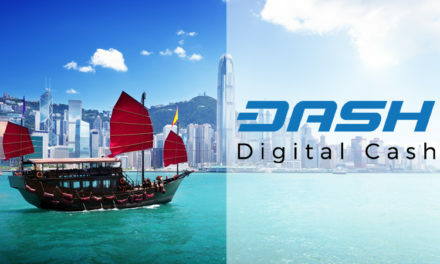 While Dash did experienced this to a degree, Dash at least has a stop loss because of its real world usability that consumers use for convenience, to escape inflation, and as an alternative to poor banking services. 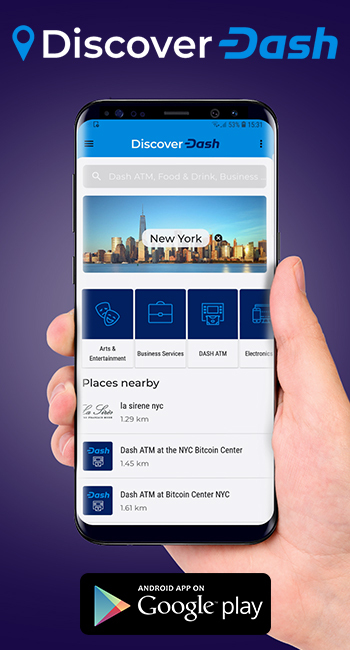 Dash is constantly striving to be an everyday payments method and currency for everyday transactions, which relies on having everyday use case scenarios. 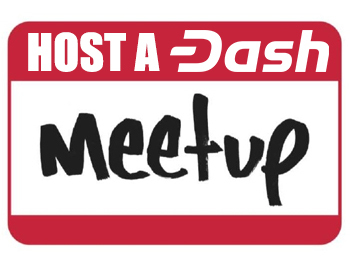 The Dash community makes Dash conducive to everyday transaction by having record fast transaction speeds at record low costs, but also focuses on integrations and partnerships so consumers can have locations and methods to spend their Dash. 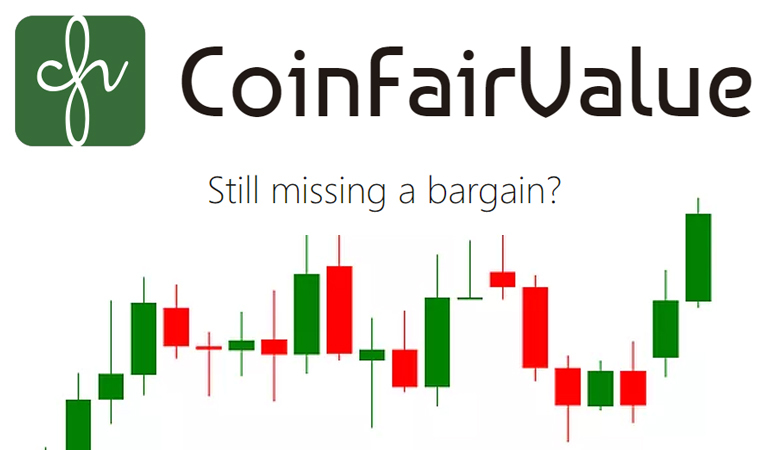 This emphasis on usability has allowed Dash to rank in the top five of CoinFairValue when ranked by fair value, which takes usability into account. 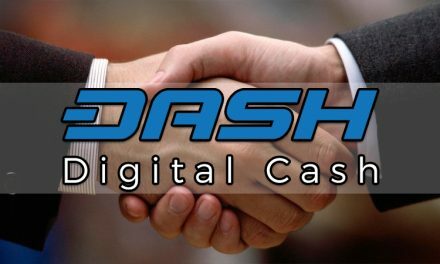 This has also allowed Dash to have a fair value above its current exchange price meaning that it is undervalued by current market scenarios. 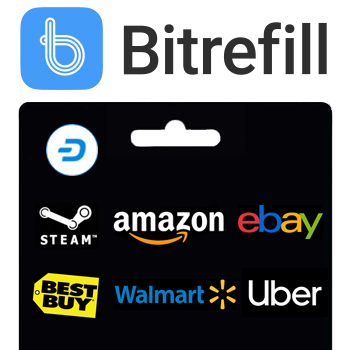 This positions Dash to thrive when compared to other cryptocurrencies on actual use cases and sustainability rather than only speculative gains.